The Mercedes-Benz CLK GTR is a grand tourer and race car that was built by Mercedes-AMG, performance and motorsports arm of Mercedes-Benz. Intended for racing in the new FIA GT Championship series in 1997, the CLK GTR was designed primarily as a race car, with the road cars necessary in order to meet homologation standards being secondary in the car's design. Thus the limited production road-going cars were considered racing cars for the road. After competing successfully in 1997, the race car was upgraded in 1998 for the 24 Hours of Le Mans and renamed the CLK LM. 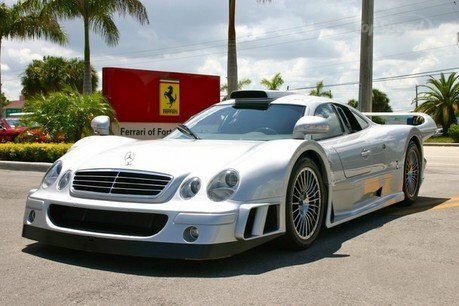 Following the construction of the CLK LMs and the CLK GTR road cars, the project would end in 1999 by being replaced by the Mercedes-Benz CLR Le Mans prototype.